Let's face it. 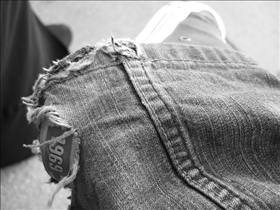 Few jeans can compare to the sheer renown, fame and legendary status of Levi’s jeans. Its the undisputed name in the denim industry and it seems that the company’s hold on the jeans market will remain firm for the foreseeable future. Nevertheless, there have been quite a few worthy contenders to the throne of jeans supremacy with brands such as Wrangler and Gap coming in at the head of the pack. While it remains in doubt whether these and other contenders can measure up to the legacy of Levi’s, they do present enough of a challenge to warrant this comparison. As far as jeans are concerned Levi's has to be the king of the hill. 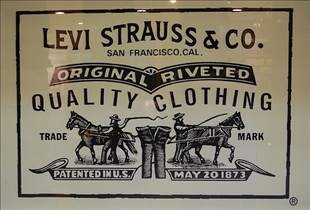 Unarguably the most recognizable name in the jeans industry, Levi's forged a path that many manufacturers all over the world are still threading to this very day. Its flagship model has traditionally been the 501, which with its button fly design has almost as much history behind it as the entire company itself. Wrangler has an almost equally respectable history as well, having been around since the mid 1940's. It was then that Wranglers were designed to be worn at rodeo’s and this decidedly western image has stuck with the company ever since. Gap jeans on the other hand positions itself solidly for a younger market and their affordable price and comparatively wider range of designs make them a better choice for the trend-inclined. The Levi’s design is pretty recognizable and it is pretty much the same for all models except for slight variations in a very few. The most obvious features are the pocket stitching and the familiar 'red tab' sewn on the right rear pocket. The company has also been largely responsible for the 5-pocket design, which includes a small pocket just above the front right pocket along with the four regular pockets. Aside from Levi's, Wranglers are the most closely tied in with the "cowboy" aesthetic, at least in this lineup. While Levi's has also made attempts to deviate from their classic styles, Wrangler remains pretty conservative and "basics" at the core. Gap jeans however are possibly the most stylish and "trendy" of the lot, and its focus seems to be on a younger market. Nevertheless, the have a number of traditionally styled jeans as well and they do hold up well under use, albeit not at the level of Levi's and Wrangler. Most Levi's models in the store come in at around $50, with a few specialty models coming in at considerably higher. However, in-store sales can take certain models down to less than $40. Wranglers on the other hand often retail for $25 or so, with prices staying pretty much at the same level for various models. Gap jeans for their part come in at the $35 to $79 price range, although store sales can cut prices down considerably. Which jeans brand fits best? u r so on the message..nothing compares with wrangler, especially price and durability!